Listen up, Beliebers: Over the weekend, a new Poo Bear, Justin Bieber song called "Get Used to Me" hit the Web, and it could be a taste of Bieber's new album (due out Nov. 13). If you're wondering to yourself, "Who's Poo Bear?" don't worry, I've got you covered: Poo Bear, a.k.a. Jason Boyd, is the Grammy Award–winning songwriter and producer who had a hand in creating Bieber's two most recent smash hits, "Where Are Ü Now" and "What Do You Mean?" (He also contributed to the superstar's 2013 collection, Journals). The 36-year-old artist told Rolling Stone in an interview earlier in September that he worked extensively with Bieber on his next project (they recorded 103 songs together), which he said features "uplifting" and "inspirational" music. 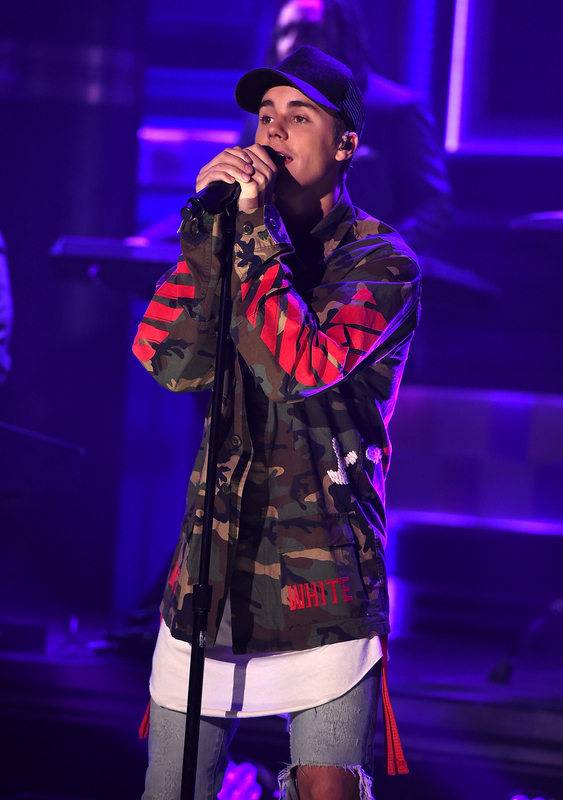 "Get Used to Me" may not technically be Bieber's track (he only sings the hook), but it definitely has an uplifting vibe to it. Given how closely Bieber worked with Poo Bear on his upcoming LP, I think there's reason to believe we could be hearing more tunes like it come November (and I certainly wouldn't mind). "Get Used to Me" is a sweet, '80s-tinged pop song that finds Poo Bear and Bieber singing about "being there" for a partner. On the chorus, Bieber croons: "So get used to me checking in all day / Get used to me falling through just to see your face / There in a moment, I won't need your grace / Get used to me touching you, get used to me loving you / Oh, get used to it / Oh, get used to it / Get used to me holding you, get used to me wowing you / Oh, get used to it." Check out "Get Used to Me" below. In his aforementioned Rolling Stone interview, Poo Bear had this to say about Bieber's new album: "It's incredible. And if I had to compare it to something, not the sound of it but the impact and amount of songs that are undeniable, I would have to compare it to Thriller." Whoa. Whoa. Likening Bieber's forthcoming set to Michael Jackson's game-changing, record-breaking, Grammy Award–winning opus is a pretty bold move, but Poo Bear's been in the music industry for a long time (and he's collaborated with a lot of talented artists), so I don't think he would've said it if he didn't truly believe it. It sounds as though the 22-year-old performer is about to release something special. Show us what you got, Biebs! We're ready.